With offices and fabrication facilities located in Sloatsburg, NY, Custom Exterior Systems, Inc. is a Contractor specializing in the installation of metal roofing, wall panel systems and translucent wall panel systems. 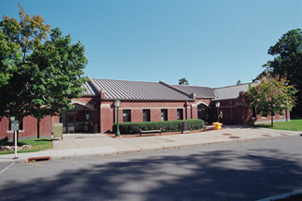 Established in 1990, Custom Exterior Systems has made installations for clients such as New York City Department of Environmental Protection, Metro-North, Long Island Railroad, New York City Metropolitan Transit Authority, New York City School Construction Authority, in conjunction with general contractors such as Torcon, Barr & Barr, Turner, Ecco III, Silverite and Judlau contracting. Custom Exterior Systems, Inc. takes pride in its hands on approach to every project it undertakes. As a result we have become approved installers for Merchant & Evans, Metl-span, Alcoa, ATAS, Englert, Overly manufacturing and has recently achieved Gold dealer erector status with Centria Architectural Systems. With combined managerial experience of 95 years in the architectural metals industry, Custom Exterior Systems, Inc. has distinguished itself as a leading installer in The New York Metro area focusing predominately in the infrastructure, commercial and industrial sectors. Our managerial abilities, fabrication facility and field expertise have enabled Custom Exterior Systems to quickly adapt to changes in construction and have enabled Custom Exterior Systems, Inc. to consistently meet or surpass aggressive construction schedules. 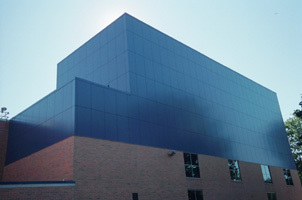 In addition to a superior track record of completed projects, Custom Exterior Systems also possesses an exemplary safety record, combined with quality, on time installations, alliances with the top architectural metal manufacturers Custom Exterior Systems Incorporated stands out as top choice of major contractors in the New York Metro area. We at Custom Exterior Systems Incorporated are proud of our continued growth each year and are a believer of the old school adage; “Word of Mouth” advertising is the best. We maintain our integrity by doing quality projects and responding immediately to adverse situations which arise.